If there is a blood spill in your home or business, either from an accident, homicide/suicide, medical situation, or other reason, you need it properly cleaned up, decontaminated and remediated quickly. PuroClean’s technicians are trained to handle all types of biohazard waste disposal, including blood cleanup, and are on call 24 hours a day, 7 days a week. Our team is specially trained and certified to professionally conduct blood clean up and restore your property according to OSHA and EPA requirements. 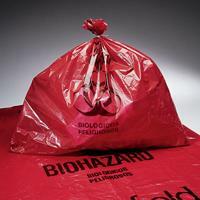 We remove and dispose of bodily fluids, tissues, and other potentially pathogenic substances. We decontaminate and fully remediate all affected areas. PuroClean is a national company with local offices, specializing in Blood Cleanup, in addition to other property damage like fire damage, mold remediation, and water damage. PuroClean of North Jersey is locally owned and operated by NJ native Jeff Uddo and his team of trained and certified technicians. Jeff and his New Jersey Blood Cleanup team have helped thousands of homeowners and businesses restore their property after biohazard damage. Call us today to work with a local company backed by a national franchise.